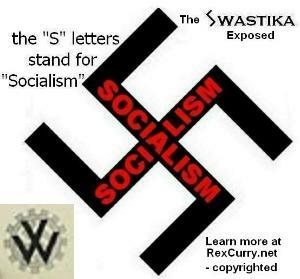 The Society of Christian Socialists ? When Republicans criticize the 9th Circuit Court of appeals, Republicans don't call for ending government schools, instead Republicans simply criticize the ruling against the phrase "under God." When the First Amendment establishment clause was written, the government wasn't operating schools, and wasn't making students say pledges with, or without, God. But that isn't part of any Republican arguments. Republicans don't call for ending government schools. Republicans want students to say the pledge in the government schools, and they want the phrase "under God" included. Perhaps the name "Society of Christian Socialists" would fit Republicans even better than Bellamy, since Republicans favor the more religious version of Bellamy's pledge with the phrase "under God" inserted in 1954. When the pledge was originally written, the socialist Bellamy didn't want God used to endorse socialism and government schools. Republicans are more socialistic than that today. It's a good bet that if the present Republican Party policies were compared with those of the Society of Christian Socialists in 1862, it would be seen that the Republicans have adopted and surpassed the socialism of the Society of Christian Socialists of 1862. Should the Republican Party be renamed the "Society of Christian Socialists"? Socialists in the United States have a long history of duping republicans. 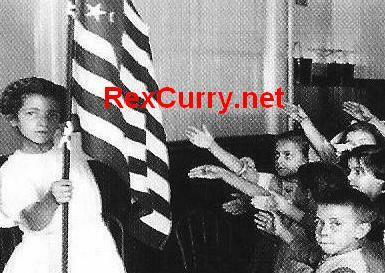 Pledge of Allegiance photographs show how socialists used government schools (socialist schools) to impose segregation by law, to teach racism as official policy, to indoctrinate students against capitalism, and to stamp out individuality and freedom. The Pledge of Allegiance was written by the American socialist Francis Bellamy, cousing and cohort to another infamous American socialist, Edward Bellamy (author of the book Looking Backward). They wanted to impose a heavy-handed method of brain-washing migrants and all Americans into accepting their socialist dogma that they called "Nationalism." 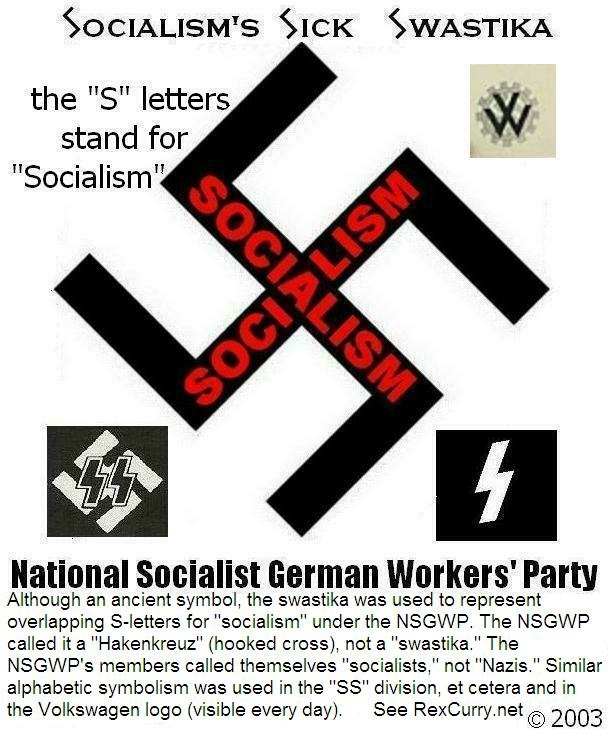 The government, through its schools, taught racism, segregation and socialism for decades and it served as a bad example long before the formation of the National Socialist German Workers' Party (NSGWP). Government in the U.S. even continued the bad behavior (segregation and racism) for decades after the NSGWP ended, and even into the 1960's. Thereafter, the legacy caused more police-state racism of forced busing that destroyed communities and neighborhoods and deepened hostilities. Government schools have never stopped teaching socialism. Some people say that Dr. Curry's work exposes many Americans as fools and as useful idiots for socialists. Rex Curry is an attorney in Tampa, Florida. He can be reached via email at rexy -at- ij.net. © 2003 Hawaii Reporter, Inc. The neocoms used the phrase "Homeland Security" when naming an agency. (This fact alone merits banishment for eternity). The Redpublican Governor of Florida and Redpublican legislators passed a record theft, wealth redistribution, and socialism package to give money to Scripps Inc., to move to Florida. On the national level, redpublicans are stealing over $87 billion to send to Iraq and elsewhere. After Rush Limbaugh was accused of street level purchases of drugs that might carry minimum mandatory sentences, not only did he fail to retract his previous police-state pronouncements on the "drug war," but Florida Governor Jeb Bush chimed in for a new neocom police-state registry for tracking all prescriptions of that type. Redpublican Party is destined to be a household word at the rate the Redpublican Party is flushing itself down the toilet of socialism, outdoing even the democratic socialists. rexcurry.net also originated the term "neocom." Google also reveals that RexCurry.net is also one of the first web sites to describe the current President Bush as "President Hillary in drag." 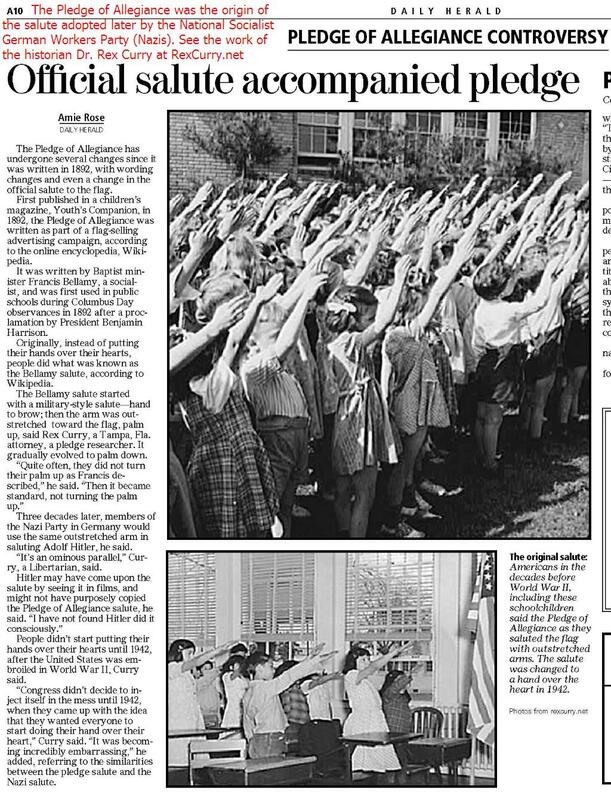 Bad writing is shown regarding the Pledge of Allegiance in the newspaper article (at http://rexcurry.net/pledge-utah.html ). Students joined state legislators and the attorney general in reciting the pledge of allegiance at UVSC on Wednesday to show their support for the words "under God." State Rep. Rebecca Lockhart, R-Provo, and state Sens. Parley Hellewell, R-Orem, and Curt Bramble, R-Provo, and Utah Attorney General Mark Shurtleff attended a rally organized by College Republicans at Utah Valley State College themed "Keep Us One Nation Under God." College Republican President Bryan Horn said the event was intended to protest the 9th Circuit Court of Appeals' 2002 ruling that the phrase "under God" makes the pledge an unconstitutional endorsement of religion, as well as to show support for the troops in Iraq and Afghanistan, and for the U.S. flag. Shurtleff said the ruling "effectively took a piece of masking tape and put it over the mouth of every kid in America who have a right under the Constitution to freedom of religion, free expression and freedom to worship. "That, to me, was a violation of the First Amendment, not the other way around." The crowd responded with applause when Shurtleff proclaimed, "Those who want to express that should not be prohibited by government -- whether it's state government, or the 9th Circuit, or the Supreme Court -- from being able to express their belief in a god." Shurtleff also said he supports a constitutional amendment to protect the flag from desecration. "There are other ways for people to express their freedom and what they want, their attitude about this government, about this country, about anything they want, but not the symbol of our sovereignty, not the symbol that continues to represent our freedoms in this country," he said. Horn said the flag is an international symbol of freedom. "When our pioneer and founding women under Betsy Ross first sewed that first American flag, they consecrated it to this nation and said that it would be a symbol and a beacon of hope to the world. The flag still is that today." After the rally, as the song "God Bless the USA" by Lee Greenwood played on the speakers in the Ragan Theater, Jeff Cardon of Orem said he attended the rally to celebrate freedom. "This was a great opportunity to listen to what our local leaders are striving for in guiding our state and our community and our country," he said. Freshman general studies major Angie Oldham said she wants to help make sure the country stays one nation under God. "That's what our nation was founded on, and I don't think anybody should change that." Anna Chang-Yen can be reached at 344-2549 or annac@heraldextra.com.